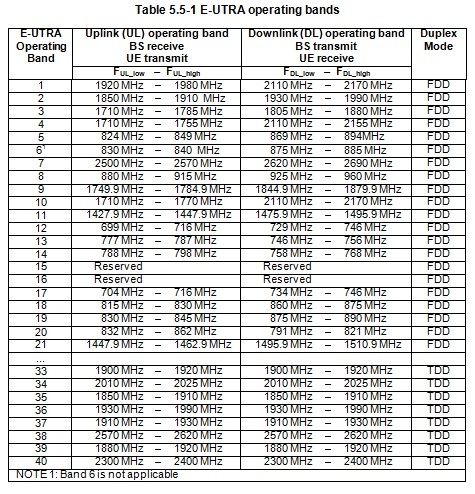 LTE is designed to operate in the following operating bands. Additionally LTE supports below channel bandwidths as defined in TS 36.101. This entry was posted in General and tagged bands, frequency, lte by lteforstarters. Bookmark the permalink.